Happy New Year! 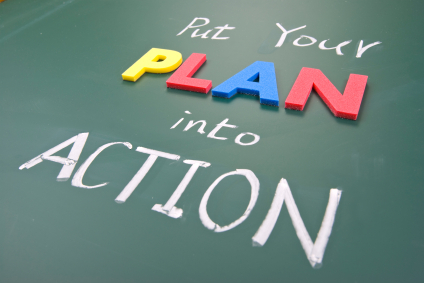 As the current year draws to a close, it’s time to start focusing on your goals for 2014. What do you want to achieve with your finances next year? It's an important question because without a destination in mind it can be easy to go nowhere. Goal setting is a vital component to success in life as much as in personal finance. Goals provide us with focus, motivation and a blueprint for making our dreams come true. As you can imagine, I'm constantly talking with people about money and their life dreams, and one thing I notice is that most people are pretty down-to-earth when it comes to dreaming. I’ve not met a single person yet who has their heart set on a private island or a fleet of Ferraris. Most people have modest dreams - the sorts of dreams that are very achievable with just a small dose of organisation and commitment. That’s why I’ve prepared this step-by-step guide to financial goal setting. The aim is that by the end of this five-step process, your goals (combined with your MyBudget budget) will represent a money map for the years ahead. What does your ideal life look like? Visualise where you’d like your money to take you and start jotting down some ideas. Does it include being debt-free? Perhaps there are places you’d like to visit, concerts you’d like to attend, sports or hobbies you’d like to be involved in. Maybe you see yourself driving a new car or a boat or renovating your home. You might want to send your kids to a different school or take them on a holiday. Think big and small. Your goals don’t have to be complicated to be worthwhile. In fact, it’s important to have a mix of big and small goals to look forward to. This is your life and your financial goals are yours for the choosing! As you review your list, you may notice that some of your goals seem easier to achieve than others. There’s a name for goals that are nearly impossible to achieve: stretch targets. Stretch targets can be useful for changing unwanted behaviours or breaking negative thought patterns, but having too many of them in your goal list can be demotivating. It’s better to have goals that are realistic and achievable. 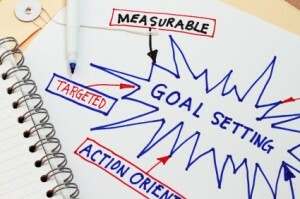 Goals need to be specific and actionable - eg. If your goal is to be debt-free, specify exactly which debts you’re going to reduce next year and by how much. If your goal is to have savings, specify how much you’re going to save and how often. A goal becomes shaky if it relies on factors outside of your control - eg. getting a pay rise, a new job, a big bonus cheque, or winning the lottery. Focus only on things you can control - eg. If your goal is to find a higher paying job, focus instead on the behaviours required to get a new job. You could rewrite your resume, send it to 20 top companies and follow-up with phone calls. IV. Prioritise your goals in order of importance. Ask yourself what goals can I start working towards now? It would be nice to be able to achieve all of your goals simultaneously, but life isn’t like that. The reality is that you have to attack your goals in order of priority. V. Break big goals into smaller, more manageable goals. For example, if your goal is to save a $70,000 house deposit over the next seven years, break it into 28 three-month segments of $2,500. Smaller goals are easier to measure and keep on track — and you get to pat yourself on the back more often! What is a SMART goal? A SMART goal is one that is specific, measurable, attainable, relevant and time-bound. The idea behind a SMART goal is that it should capture the behaviours and actions that lead to your desired end point. Goal: To have savings in the bank. SMART goal: I am saving $100 from each pay for my emergency fund. By the end of 2013, I will have $2,400 in my emergency sub account. Goal: To cut back my socialising after the New Year. SMART goal: For January and February: I am taking my lunch to work three days a week; budgeting $80 a week for going out which I will pay myself in cash every Friday (when it's gone it's gone! ); going to after-work drinks only once a month; taking my credit card out of my wallet and using only cash. Goal: To save $70,000 for a home loan deposit in the next seven years. SMART goal: I am saving $420 per pay into my house deposit sub account so that within seven years (2121) I will have $70,000 to use as a loan deposit. 2013 milestones: $2,500 by April; $5,000 by July; $7,500 by October; $10,000 by Dec 31. The number of goals you set yourself is up to you. Some people will only write down their big goals; others will prefer to write down every little goal that comes to mind. Either approach is great. The most important thing is to not let the goal setting process become so overwhelming or difficult that you give up. Start with little victories and watch them add up. If you’ve been discouraged about goal setting in the past, keep it simple. Pick just one small goal to start with — perhaps taking your lunch to work for a week. Financial fitness is a lot like physical fitness. If it were your aim to run a marathon, your first training session wouldn't involve a 40km run. The same principle applies to your money. Little, regular steps will quickly add up to a marathon distance. Remember, you can always add more goals to your list or tweak the ones you’ve got. Review your goals regularly. Are you on track? Do you need to tweak your plan? Are you progressing towards your goals faster than you expected? It’s okay to make adjustments. Your plan needs to be flexible to accommodate life’s changes. You might get a pay rise that boosts your budget and shortens your timeframes - or your car might need costly repairs that eat into your savings. The plan may change, but the goal remains the same! Make sure you your goals list somewhere you can read it once a day. It’s absolutely mandatory to celebrate every time you hit a goal or a mini-milestone! That doesn’t mean blowing your budget on champagne and flowers, but it does mean patting yourself on the back. You deserve to feel happy, motivated and excited about your achievements. As you get on top of your bills and debts, you’ll find that your mind starts turning towards other financial goals. What will you do with the extra funds as your debts are paid off? Save for a house? A holiday? Pay down other loans? Top up your super? If you’d like help reassessing your financial goals, contact MyBudget’s customer service team. We’re always here to help.